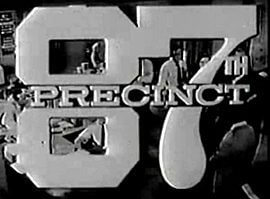 Ed McBain wrote a series of books about a tough as nails detective named Steve Carella and Robert Lansing brought that character to life in the tv series 87th Precinct. 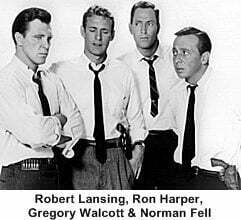 Surrounded by his fellow detectives Bert Kling (Ron Harper), Meyer Meyer (Norman Fell) and Roger Havilland (Gregory Walcott) they fight crime and sometimes each other in the fictional city of Isola. This show didn’t have much in the way of laughs, it was a dark crime drama which focused on an inner-city neighborhood and the never ending line up of bad guys and the people who were touched by their crime. Conflicts arose from the detectives wildly varying styles and personalities. The rookie Det. Bert Kling is young and impetuous, offset by the cool patience of long-time veteran Det. 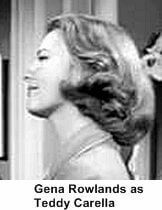 Roger Havilland. The somewhat twisted sarcasm of Det. Meyer Meyer is kept in check by their boss Det. 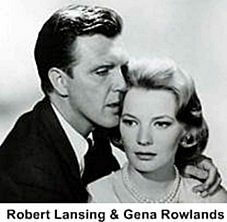 Steve Carella who for an added touch of realism has a deaf/mute wife Teddy played by Gena Rowlands. 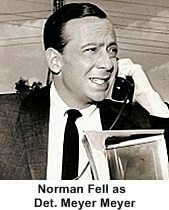 This show had a lot of the dark elements that “The Untouchables” made so popular and seemed like it would be a hit. 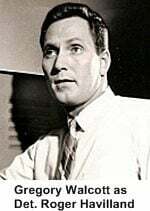 Unfortunately it ran against Surfside 6 and The Danny Thomas Show and just didn’t draw high enough ratings for the network to try a second season.